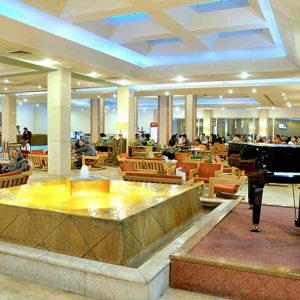 Known by the name Arya-Sheraton Hotel prior to 1979 Islamic revolution, Tehran Homa Hotel is a genuine work of modern architecture. 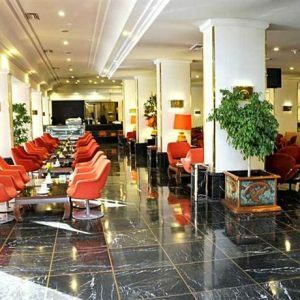 Designed by the American architect Welton Becket, Homa Hotel has been the first choice of generations of visitors to Tehran. 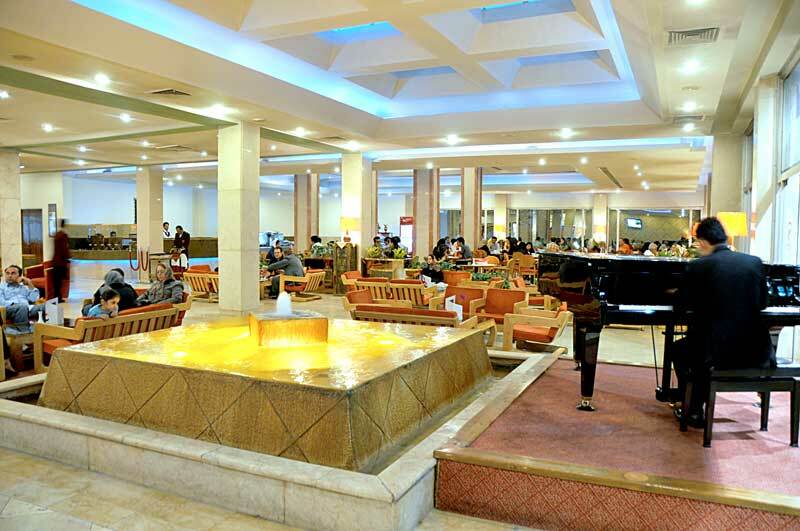 The prime location of Homa Hotel in Tehran is one of its many assets in the competitive arena of hotels in the capital. 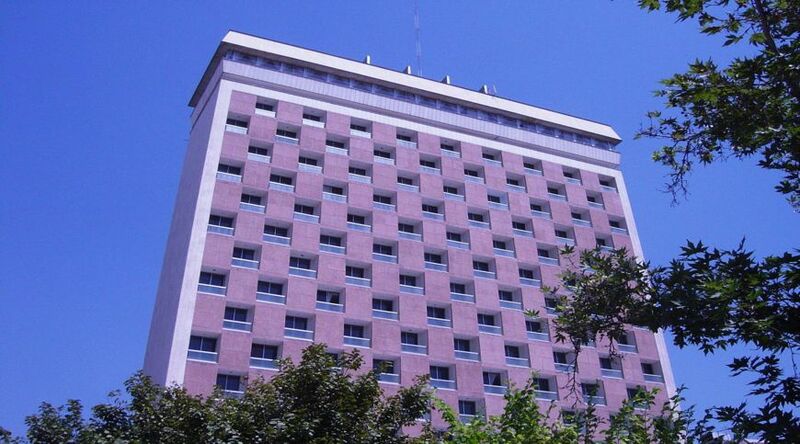 Located in Valiasr Street which is the longest street in the Middle East, near Vanak Sqaure Hotel Homa allows easy access to one of the biggest public parks in Tehran and one of its major landmarks, Tabiat Bridge. 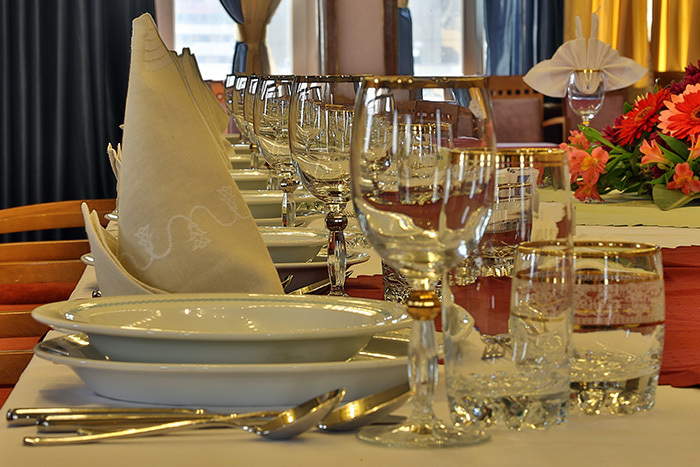 Moreover, the hotel is just a short walk away from many shopping centers and luxury boutiques of Vanak Street. 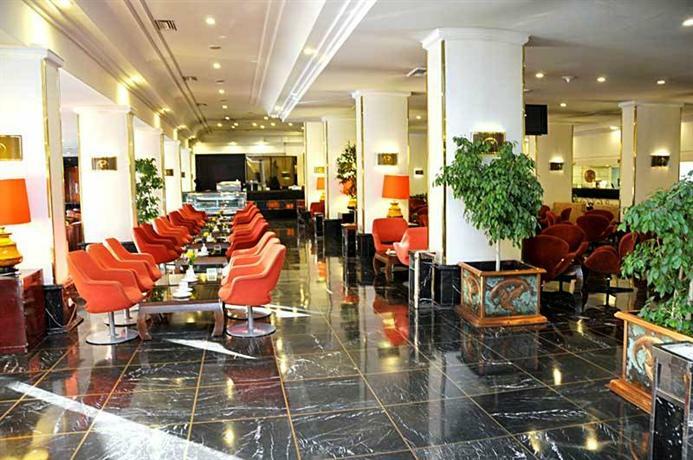 Equipped with 144 rooms, 28 junior suites and nine royal suites in its massive fifteen-floor building, Hotel Homa in Tehran provides elite service with many different prices for every taste and budget. 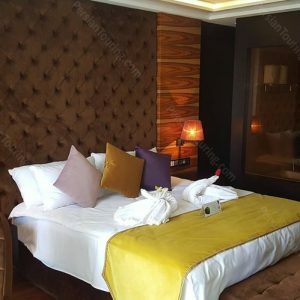 Its topnotch amenities include a modern gym, an indoor pool fashioned with a superb buffet and audio system, tennis court, sauna and massage parlor. 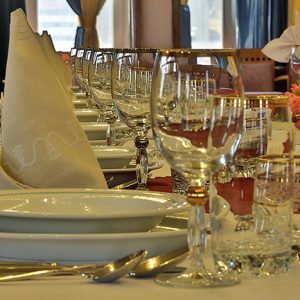 The classy restaurant on the top floor of the hotel offers a wide array of culinary choices (international and local) as well as a breathtaking view of the formidable mountain ranges of Alborz. The management was also wily enough to add a shopping center to the complex for those who don’t stomach big crowds and busy shopping malls in the city. Taxi service is available 24hr to transfer the guests from Homa Hotel to any location in Tehran and other cities in Iran using modern cars equipped with taximeter, air conditioning, comfortable seats and English-speaking drivers who know the city like the back of their hands! 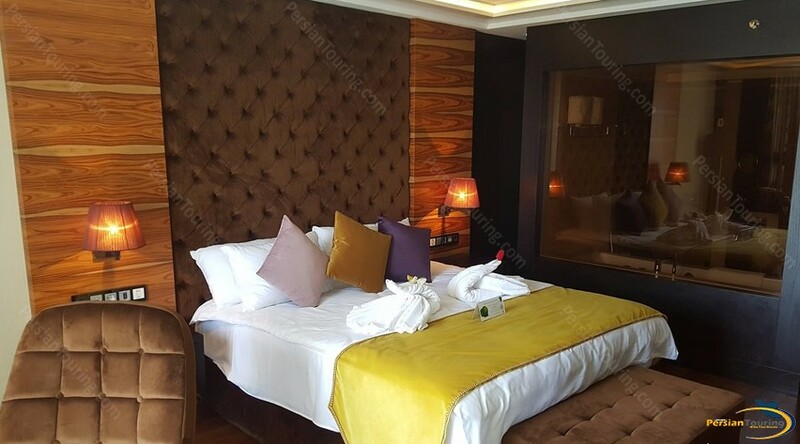 Whether you intend to travel to Tehran for a short business trip or want a true experience of a Middle-East metropolis, just pack your bags and book a room in Homa Hotel in Tehran via the internet or telephone and have a sweet memorable sojourn in the luxury of Homa International Hotel.